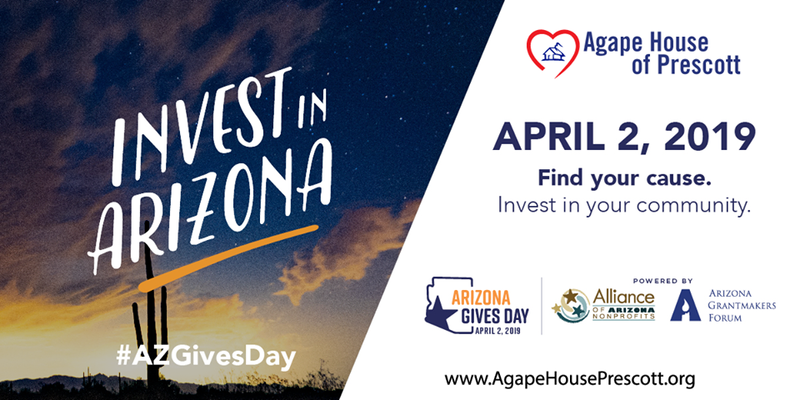 Arizona Gives Day is Coming Up! Each week I usually share a story of a life that was changed by Agape House. In fact this week, another family has moved into a home!! We are elated for this family!! They are being moved from horrible living conditions to a true home! It isn’t a secret, this type of move costs money. Agape House provides the housing for the family as well as countless services to make this a permanent life change. That is why this week I wanted to share about Arizona Gives Day that is coming up on April 2nd. Below is information directly from the AZGives.org website. In short, Arizona Gives is a wonderful organization that recognizes the need to help non-profit organizations raise funds for their ministry. Agape House has completed the requirements to be an organization that people are allowed to donate. We are very grateful for the help to raise funds to house more people in Prescott and work to eliminate homelessness! Arizona Gives Day is a collaboration between the Alliance of Arizona Nonprofits and Arizona Grantmakers Forum. This partnership has helped raise more than $13.4 million for Arizona’s nonprofit sector. This statewide, 24-hour, online giving campaign takes place in early April each year. Arizona Gives Day helps raise awareness about Arizona nonprofits and the critical role they play in our communities and state. It inspires people to give generously to nonprofits making our state stronger, creating a thriving community for all. 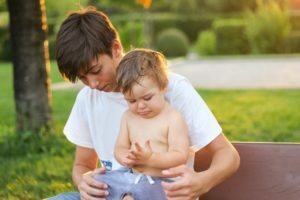 Though Arizona Gives Day only happens once a year, Arizona Gives (AZGives.org) is available for year-round giving. Donors can create a donor account to pre-schedule donations, set-up recurring donations and make changes to their giving throughout the year or they can checkout as a guest and give immediately. All nonprofit organizations are verified for eligibility before being allowed to participate on the website, ensuring that donors are giving to legitimate organizations. For eligibility requirements, visit the most current Terms of Service & Liability document.